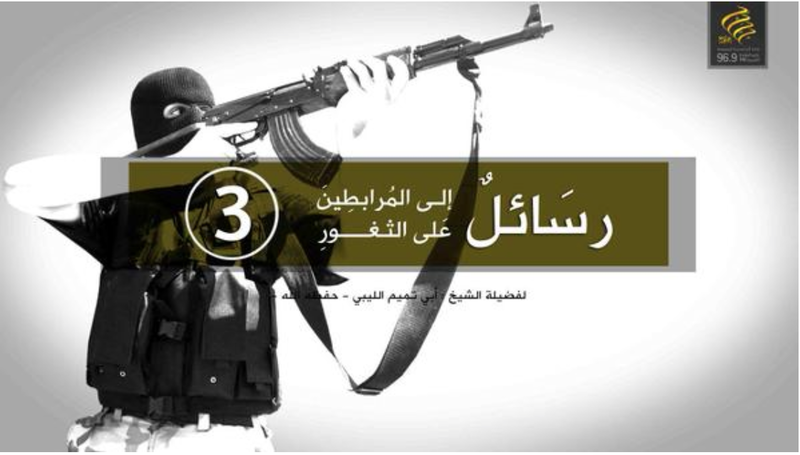 Ansar al Sharia Libya, the al Qaeda-linked jihadist group notorious for its role in the Sept. 11, 2012 terrorist attack in Benghazi, relaunched its social media presence in late March. The group set up several official Twitter feeds to promote its propaganda, including messages from its new sharia official. 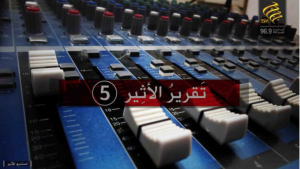 The feeds form a “correspondents” or “reporters” network, similar to the ones used by other jihadist groups, including the Al Nusrah Front, al Qaeda’s official branch in Syria. Like other jihadist groups, Ansar al Sharia’s Twitter pages have long been subject to a game of cat and mouse. Twitter would suspend one account run by Al Raya Media Foundation, the organization’s propaganda arm, only to have another one pop up shortly thereafter. Other accounts have been dormant for months. But now the group operates several feeds simultaneously. Images from the Twitter pages can be seen below. Ansar al Sharia’s propaganda is also being retweeted by other sites, including a Twitter feed that is associated with Al Qaeda in the Islamic Maghreb (AQIM), an official branch of al Qaeda that is openly loyal to Ayman al Zawahiri. 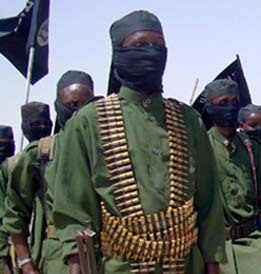 The United Nations has recognized the operational ties between AQIM and Ansar al Sharia, and there is much evidence indicating that Ansar al Sharia has long operated as part of al Qaeda’s global network. One of the new Twitter feeds is devoted to Ansar al Sharia’s radio station, 96.9 FM on the radio dial in Benghazi. Short audio clips from the radio station’s broadcasts are posted online. 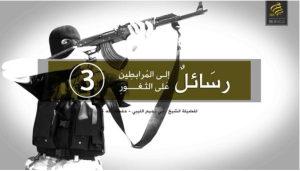 Much of Ansar al Sharia’s propaganda focuses on its ongoing war with General Khalifa Haftar’s forces. 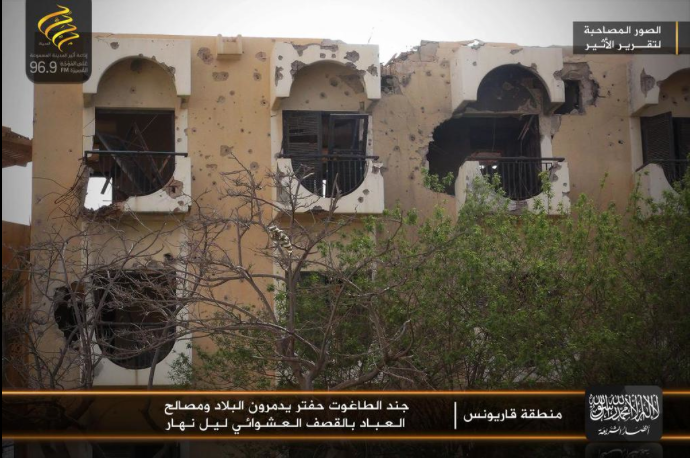 For example, some photos show buildings that have been damaged by Haftar’s supposedly indiscriminate bombing campaign. 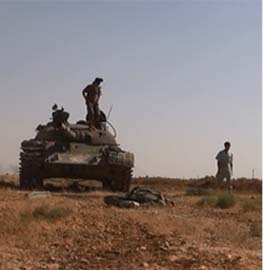 Other videos and photos focus on the jihadists in battle against Haftar’s men. Even while embroiled in a war with Haftar, Ansar al Sharia still highlights its governance efforts. 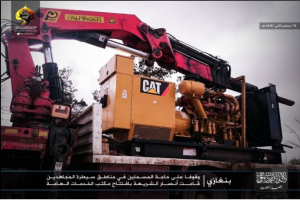 In late March, Ansar al Sharia’s fighters were pictured opening a general services office in Benghazi, with construction and other service vehicles driving through the streets. 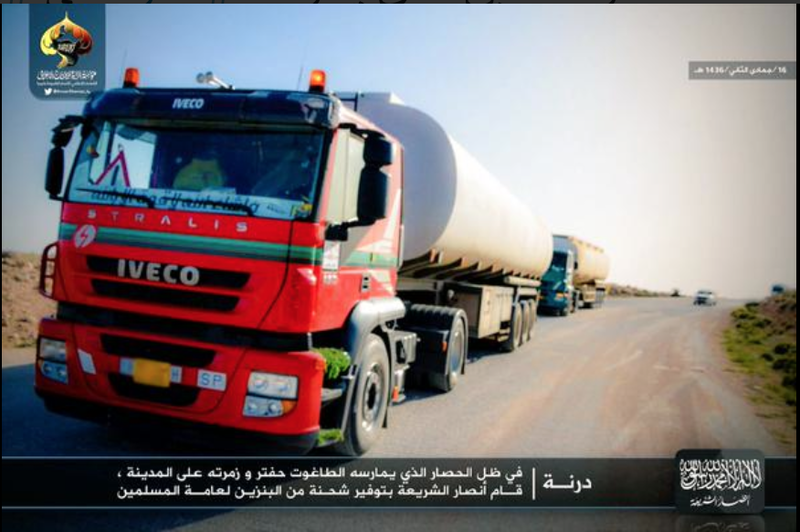 Additional photos show fuel trucks purportedly breaking Haftar’s siege by making deliveries in Derna, Libya. Pictures of a truck delivering flour, as well as baked goods being provided to the populace are also posted. Ansar al Sharia has long campaigned against the supposed vices of ordinary citizens. And the group continues with this theme, which is an extension of its radical brand of sharia law. For instance, several photos depict cartons of cigarettes being burned. 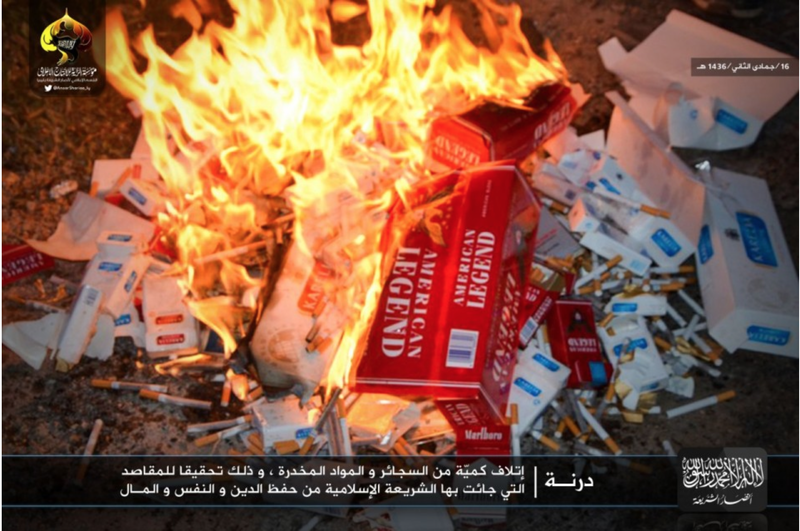 Ansar al Sharia doesn’t just focus on behaviors such as cigarette smoking. The designated terrorist group has also cracked down on Christians operating in its claimed territory. 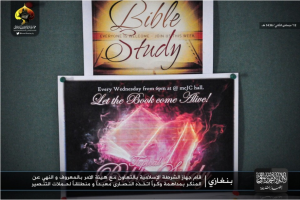 Several photos show a facility that was operated by “foreign” Christians. 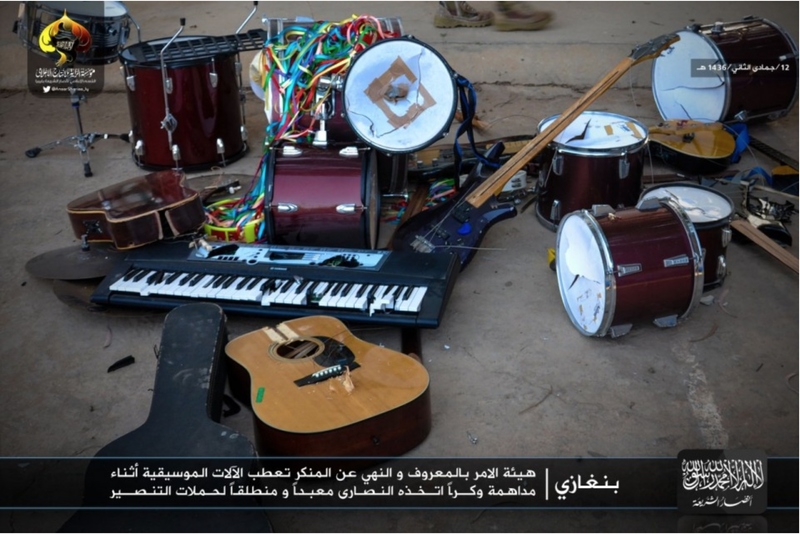 Ansar al Sharia raided the location, seizing Christian pamphlets, books, and instruments used by the missionaries. 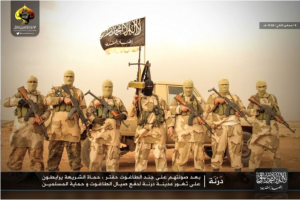 For months, there have been rumors that Ansar al Sharia Libya was going to defect to the Islamic State, an al Qaeda offshoot that claims to rule as a caliphate over large parts of Iraq and Syria. The Islamic State has been attempting to win the loyalty of established jihadist groups around the world. Independent of these efforts, Abu Bakr al Baghdadi’s organization has been growing fast in North Africa and elsewhere. 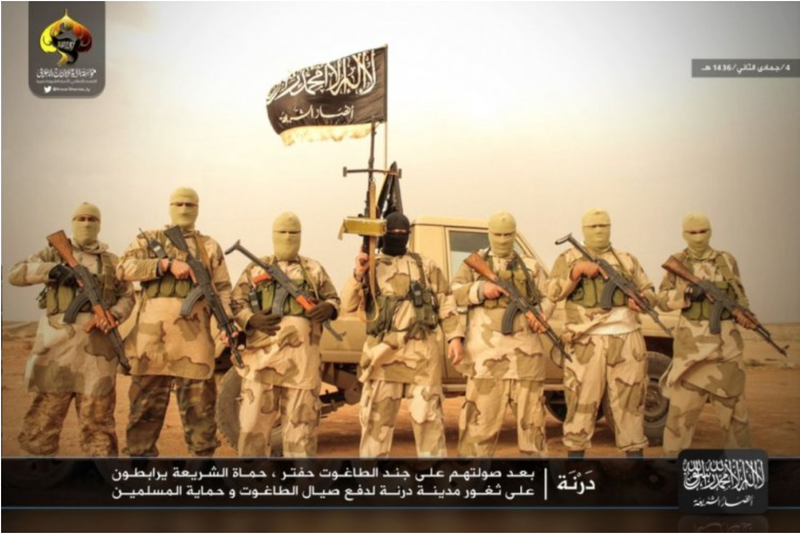 Reports of a possible Ansar al Sharia defection seemed to gain credence after the group’s senior sharia official, a jihadist known as Abu Abdullah al Libi, announced his allegiance to the Islamic State. 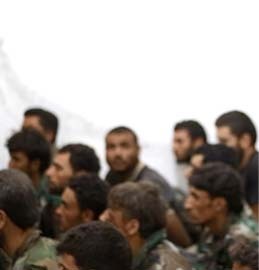 According to jihadists online, Abu Abdullah took a cadre of fighters with him. And the move was seen as especially important given Abu Abdullah’s influence over Ansar al Sharia’s nascent sharia court system. However, Ansar al Sharia quickly announced that a new senior sharia official, Abu Tamim al Libi, had been selected to fill in for Abu Abdullah. This suggests that the group as a whole is not defecting to the Islamic State as of yet, otherwise there would be no need to appoint a successor to Abu Abdullah. Indeed, Abu Abdullah did not claim to represent all of Ansar al Sharia when he announced his fealty to Abu Bakr al Baghdadi, the self-proclaimed new caliph. In his writings, Abu Abdullah has attempted to pave the way for other members to join him. This may lead to further defections as the Islamic State is undoubtedly popular among some of Ansar al Sharia’s rank and file. Ansar al Sharia long acted as a facilitator for recruits looking to fight in Iraq and Syria, meaning that some of its jihadists fought as part of the Islamic State, while others joined the Al Nusrah Front (the Islamic State’s rival) or other groups. Regardless, there is no indication as of yet that Ansar al Sharia as a whole endorses Abu Abdullah’s position. Meanwhile, the group uses its new Twitter feeds to post audio clips of messages from Abu Tamim al Libi, Abu Abdullah’s replacement. The Long War Journal’s review of Ansar al Sharia’s new official Twitter feeds did not reveal any overt endorsements of the Islamic State. The group has not sworn allegiance to Baghdadi, nor has it joined one of the Islamic State’s so-called provinces in Libya. There are some similarities in the two organizations’ propaganda, but also key differences. 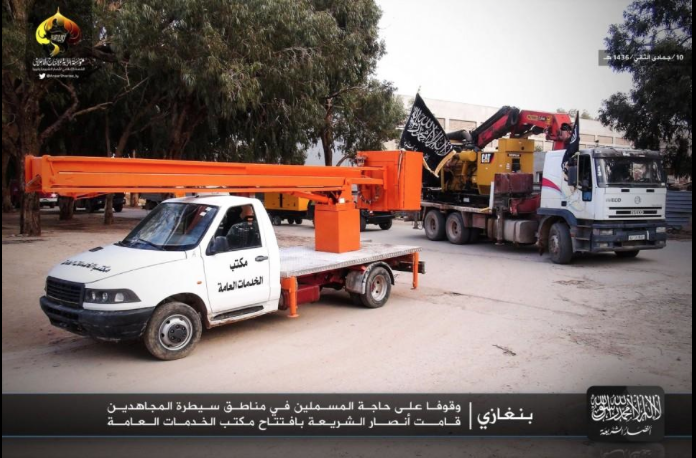 Ansar al Sharia’s photo sets do not contain the same logos used by the Islamic State’s Libyan fighters. 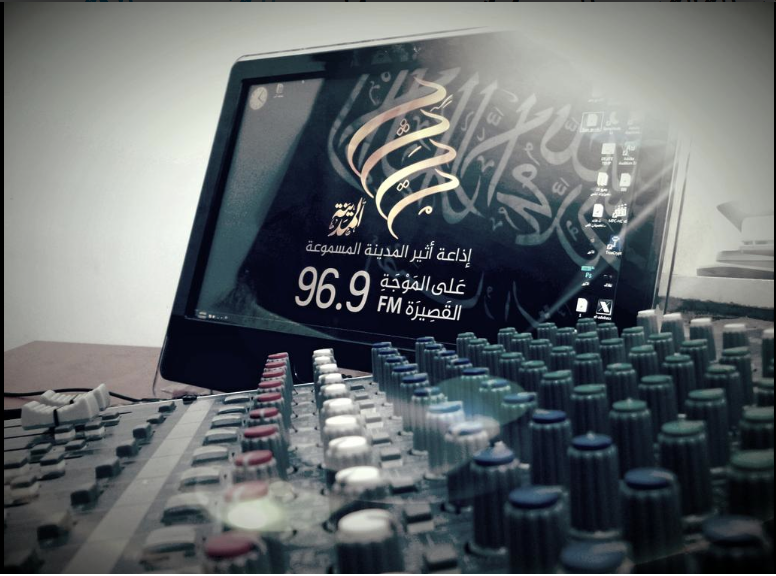 Instead, they are branded using either the image created for Ansar al Sharia’s new “reporter” network on Twitter, the existing logo for Al Raya Media, or both. 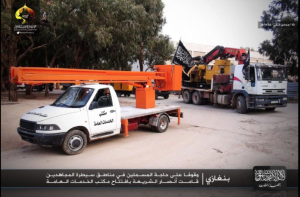 Some press accounts have pointed to Ansar al Sharia’s use of a black banner similar, if not identical, to the one used by the Islamic State. But this same flag was adopted by many jihadist groups around the world long before the rivalry between the Islamic State and al Qaeda flared up in 2013 and 2014. 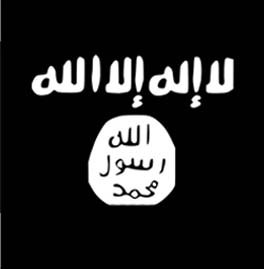 In fact, al Qaeda in the Arabian Peninsula (AQAP), which has denounced Baghdadi’s caliphate, began using the flag prior to the Islamic State’s rise and still does. 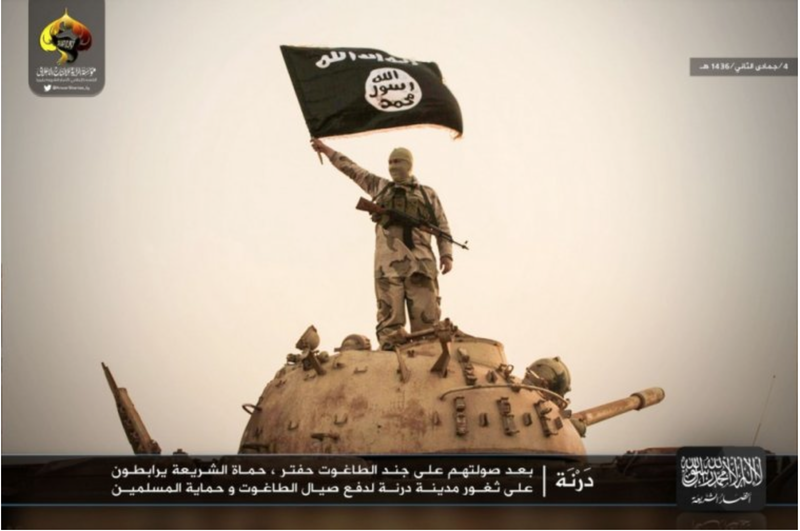 AQAP officials have even been pictured sitting in front of a similar banner as they criticize the Islamic State. 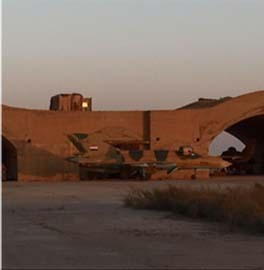 The use of that particular black flag by itself does not, therefore, mean that a group has become loyal to Baghdadi. 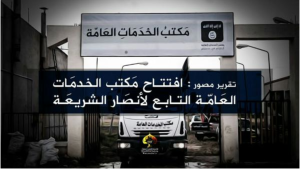 Moreover, most of Ansar al Sharia’s official images actually feature a black banner more commonly associated with al Qaeda and the Al Nusrah Front, which is opposed to Baghdadi. Ansar al Sharia’s propaganda features that black flag (seen below) much more frequently than the banner often associated with the Islamic State. Part of what makes any assessment of Ansar al Sharia Libya so difficult, including the possibility of further defections to the Islamic State, is that its leadership structure is opaque. The organization’s top leadership, shura council members and other key officials are not all readily identifiable. 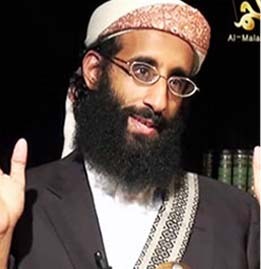 Mohammed al Zahawi, Ansar al Sharia’s previous leader, was a recognizable figure. He was also an al Qaeda loyalist. This was confirmed earlier this year when AQAP issued a eulogy for Zahawi, saying he had personally met with Osama bin Laden and had adopted al Qaeda’s program. But Zahawi’s death meant that Ansar al Sharia no longer had a clear, public face for its operations. It is possible that as Ansar al Sharia loses more leaders in the battle with Haftar, or in fights with other foes, the internal dynamics of the group could evolve, thereby leading to more defections. Currently, Ansar al Sharia’s new Twitter feeds are still honoring Zahawi as a brave jihadist who followed the correct jihadist path. 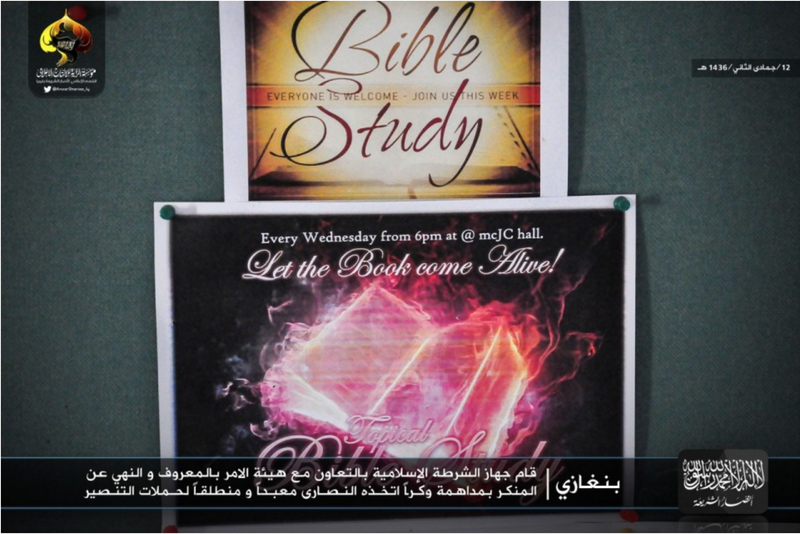 Below are images from Ansar al Sharia’s Twitter feeds.